For a business, one of the most important ways to stay competitive is to understand the relationship the customer or client base really has with the overall business, the product or service provided, what it really thinks and how it feels about it. Equipped with such valuable insight, leadership teams can then steer their organization towards creating more loyalty and more value for their customers. Back in 2014, Gartner predicted that by 2016, 89% of companies would be competing mostly on the basis of customer experience and 50% of consumer product investments would be directed to customer experience innovations. In their CMO Spend Survey 2016-2017, Gartner identifies customer experience as the top area of innovation being pursued by marketing leaders. “Voice of the Customer” (or VoC as it is often abbreviated) is the process of gathering vital information regarding what customers think and feel about their experiences with a business. The goal is to learn about their expectations regarding the business’ products or services. 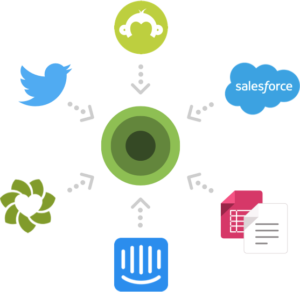 Voice of the Customer is a process made possible by modern technology that enables customers’ experiences to be captured and then shared within the organization. Armed with this priceless knowledge, companies can build more effective brands, more efficient organizations and develop better products or services. 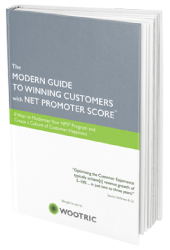 Discover why feedback scores are not up to par. Comprehend customer desires, needs, and criticisms. List the above data in order of importance for improving performance. Fully grasp customers’ perception of the value a company’s product(s) and/or service(s) offer. Learn if and where the company is fulfilling its promises and areas where it fails to do so. Utilize all the data to inform improvements in the way product and services are created and offered to a now better understood customer demographic. Once upon a time, businesses would ascertain customers’ wants by observing what was being bought and, conversely, what was selling less successfully. Knowing what is popular with the buying public is of course a pathway to gaining understanding of what works, but this is not a surgically sharp instrument for feedback, nor a timely one. It won’t reveal, for instance, what areas are specifically in need of improvement or how happy customers really are with the company’s product or service. Truly listening to the customer and fully comprehending their entire experience provides a company’s management team with significantly more assistance and guidance. The raison d’être of VoC comes down to two points. First, it greatly aids in the retention of customers and assists in the development and improvement of products and services, not only keeping current business, but also attracting more. By gaining access to customers’ opinions, beliefs, and experiences, then acting on all this data, the Voice of the Customer goes a long way in assisting the creation of better products and the offering of improved services that otherwise would not have been thought possible. The path to a fully functioning VoC program requires the right company culture, internal champions and cross-functional collaboration. It starts at the top. Customer-centric organizations have their C-suite engaged and leading these efforts across all areas of the company, along the entire buyer journey: from sales, support, billing, marketing, product to customer success, etc. As noted in McKinsey “From touchpoints to journeys: Seeing the world as customers do,” customers form their impression of a product or service through multiple interactions with an organization. For instance, folks may find a business by doing an online search or via an ad. They might be introduced through blogs or site reviews, then shop on the company’s website, stop by at a brick and mortar retail location, and later on, get in touch with the customer service department. 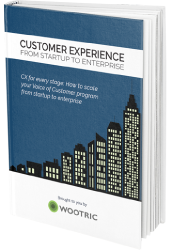 A VoC program starts with mapping out the customer journey and identifying the various touch points that will add up to the full customer experience with the company. Companies must consider which CX metric is the best to track — what question to ask — at each journey point. 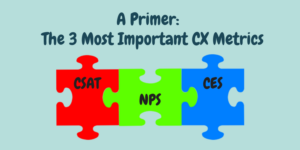 Net Promoter Score (NPS), Customer Satisfaction (CSAT), and Customer Effort Score (CES) may all have their place depending on context and what a company is trying to learn. The second step is to gather feedback at these “listening posts”. Badly designed, a VoC program can easily create friction, with long and intrusive surveys, and demand effort on the customer’s part, going against its very purpose of improving the customer experience. Choosing a lightweight survey format relevant to the customer interaction at hand is foundational to the design of effective VoC programs. 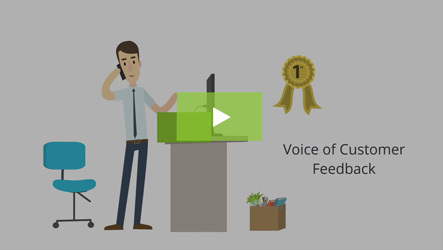 Successful VoC programs go one step further than the collection of feedback and customer experience metrics at customer touch points. They derive actionable insights from the wealth of feedback and information gleaned. AI-powered text analytics software are powerful tools available to organizations to help scan millions of open feedback entries in real time and reveal recurring themes in areas for improvement. 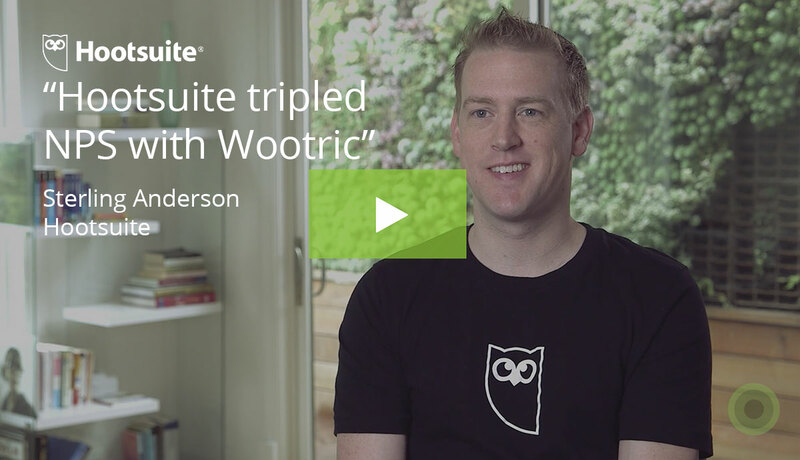 Learn more about AI-powered Wootric CXInsight™. The most effective VoC programs will put the company’s leadership and company staff in the best position to act upon all the collected, up-to-date insight. Being informed about all the problem areas allows individuals in a company to take the lead in correcting them. Ongoing monitoring assists in tracking a company’s progress as time goes on. 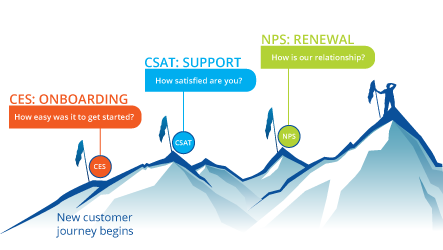 Companies can get stuck debating what absolute NPS, CSAT or CES score they should target. What is more important is to stick to a metric, build a system that lets feedback flow in effortlessly, and watch the metric improve over time, as employees act on this valuable feedback. In summary, VoC enables companies to gain visibility into the customer journey and, just as importantly, to act upon this feedback. This leads the company on a path to continuous improvement and, ultimately, has a positive impact on the bottom line.